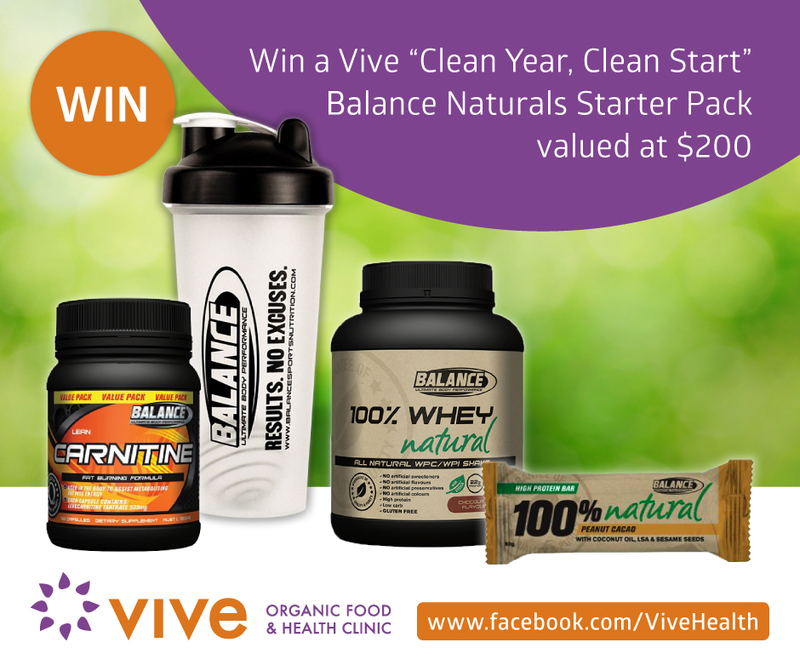 ← Back to School offer – Start 2016 balanced! It’s a new year and for most people, a time to make “getting fit and healthy” a resolution. 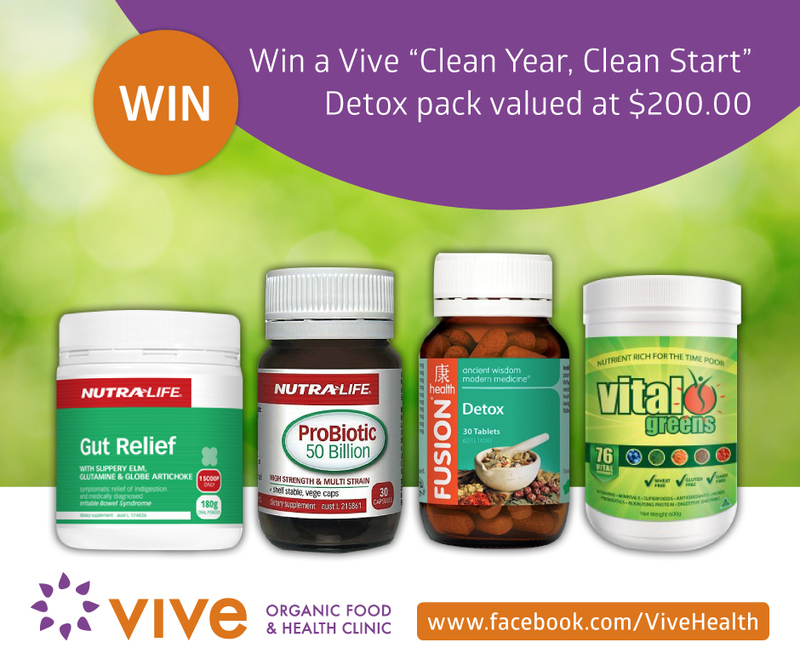 So what better way to kickstart a healthy 2016 than by entering our “Clean Year, Clean Start” Facebook giveaway? Complete the competition form and provide your details including your email address. That’s it, only 2 steps to enter. May the luck be with you! Only one entry per person/email address/Facebook like. Entries close Sunday 31st January 2015 7pm AEST. The winner will be drawn at random and will be announced on this blog post, Twitter and Facebook. For verification purposes, entrants will need to ensure that privacy settings are set in a way that will allow us to publicly verify that they have “Liked” our page. The winner will be notified via the email address used to enter the giveaway and must reply with their postal address within 5 business days of notification. Vive Health reserves the right to alter the terms and conditions as they see fit. 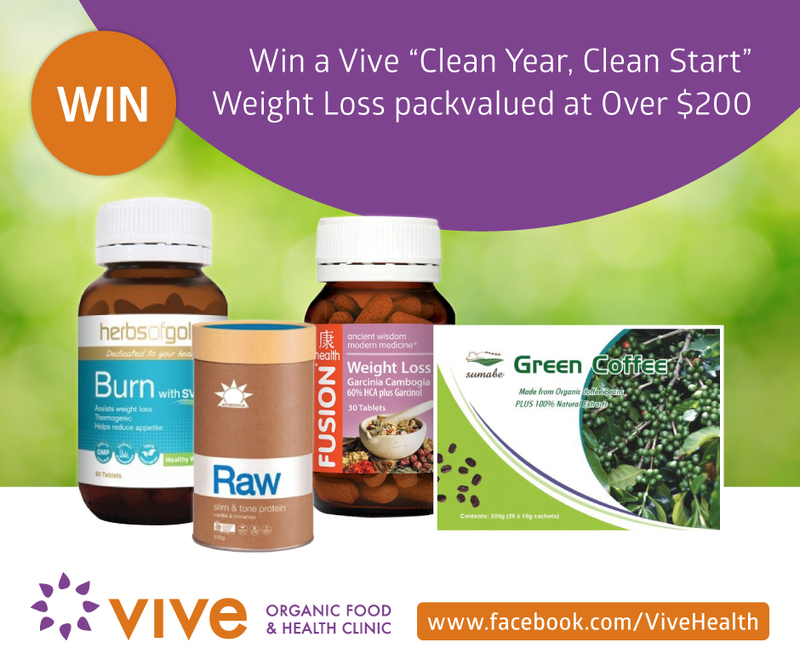 This entry was posted in Vive Health Nutrition and tagged 2016 giveaway, Australian giveaway, health and wellness giveaway, healthy giveaway, new year giveaway. Bookmark the permalink. I would like to give your products a try as I don’t like to take too many prescription medications. Please randomly pick me :).